If you’re in the process of planning a wedding and you’re looking for ideas for unique but beautiful wedding cakes, then you’ve come to the right place. And, if you weren’t hungry before you started reading this article, you definitely will be by the end! 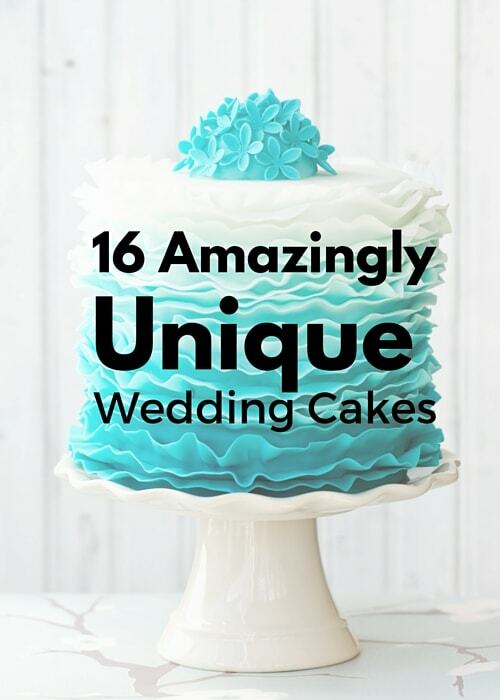 These cakes are simply stunning, and at the very least we hope you’ll come away with some great ideas for the perfect cake for your special day. 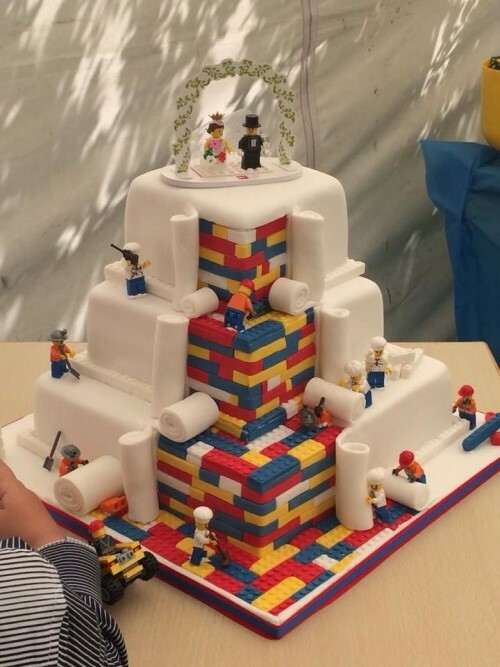 What a fabulously unique idea for a wedding cake! This beautiful strawberry watermelon cake with rose scented cream (gosh, drooling already!) will certainly get heaps of attention at your wedding. 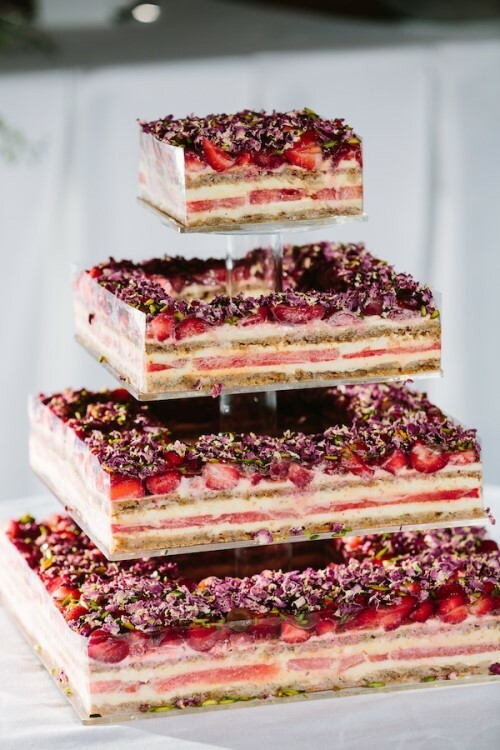 If you click on the above link and check out the entire wedding (which was simply stunning, to say the least) you’ll see that this cake is described as ‘layers of divine beauty’ – that probably says it all! If you’re looking for something that’s different, but totally delicious, this is one cake you might want to consider. So pretty! 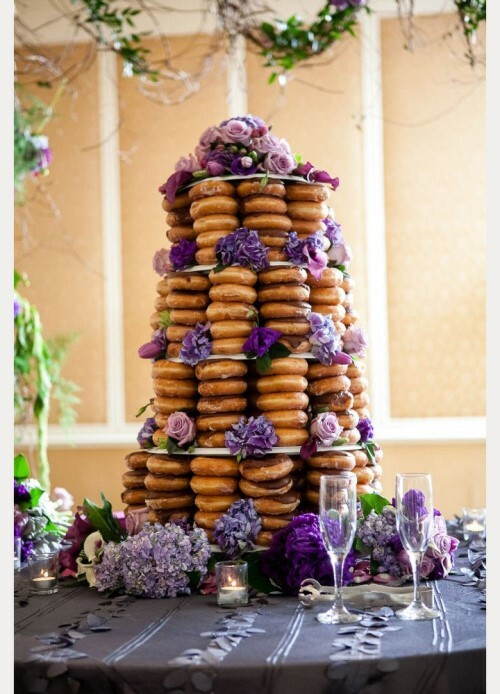 What an elegant wedding cake. 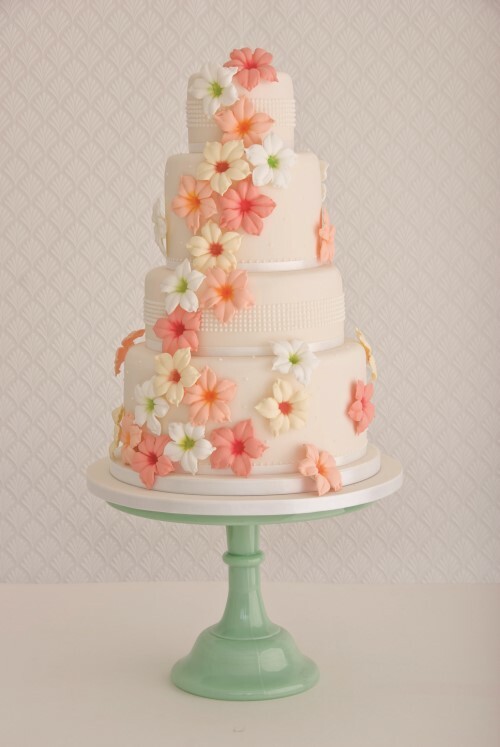 This little beauty is described as an ‘Hibiscus Flowers and Pearls ‘wedding cake. If you’re looking for a plain but lovely wedding cake, this could be the one for you. 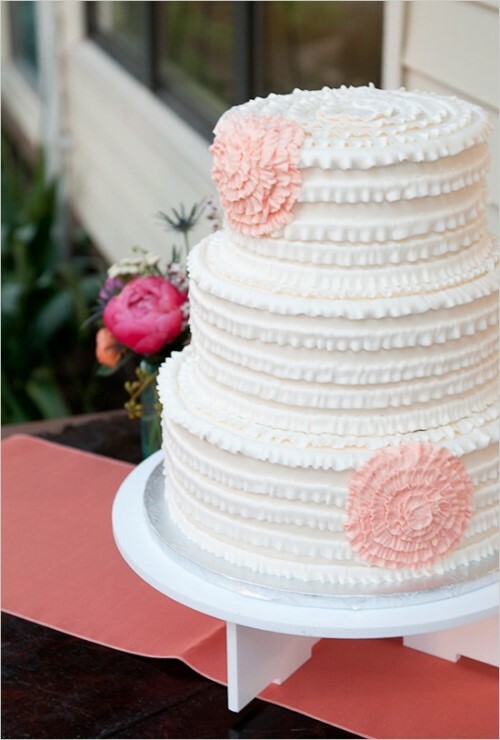 This one has four tiers – 4, 6, 8 and 10” – and it’s filled with vanilla bean buttercream. Yum! If you’re looking for ideas for a Gothic wedding cake, then this is the site for you. Would you believe there are 466 Gothic cakes for you to choose from? 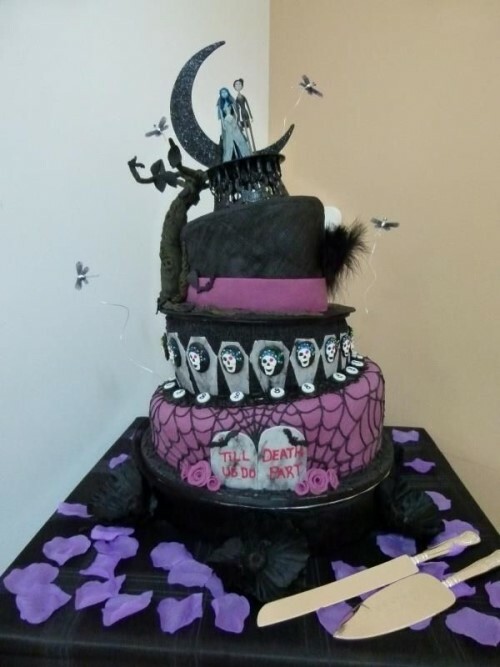 If you can’t find a Gothic cake that you really like on this site, then it probably doesn’t exist. Why not take a look anyway? You’ll be blown away by some of the cake decorating ideas. No one could look at this stunning wedding cake without thinking about the amazing David Bowie – and don’t we miss him already. The company that makes this style of wedding cake says on their site that they love receiving unusual requests and turning their customers’ ideas into reality. Check out all the amazing, elegant cakes on this site – you’re bound to find the perfect one for your special occasion. This really is a fabulous idea, and one we have seen before. This clever company exports MyminiYous all over the world, and who wouldn’t want to see their own personalised caricature figure sitting atop their wedding cake? Simply send in your photos, approve the draft, and your MyminiYous will be posted to you. Basically, they’ll create any personalised cake topper, with each MyminiYou being handcrafted to the very finest detail. What a clever idea! This ruffled wedding cake was part of a Unique and Artsy Backyard Wedding; but of course we don’t mean your everyday plain old backyard – this was a fabulous wedding in a fabulous backyard. 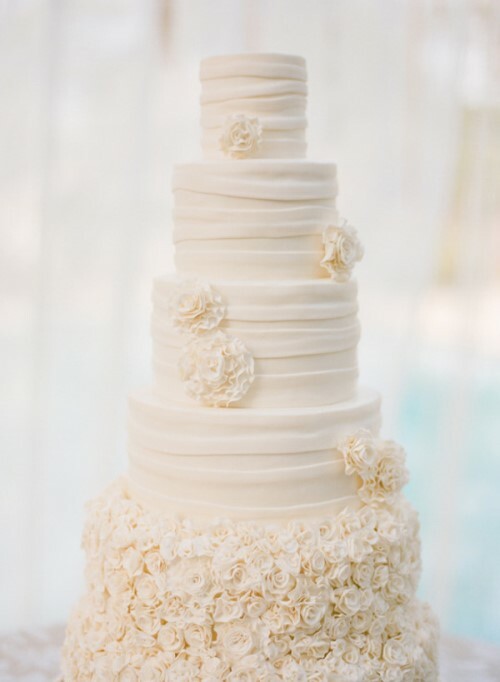 And have a look at the gorgeous ruffled wedding cake – it looks divine! If you’re considering having an outdoor or backyard wedding yourself, you might be interested in taking a look at how this wedding was set up. It’s pretty special. 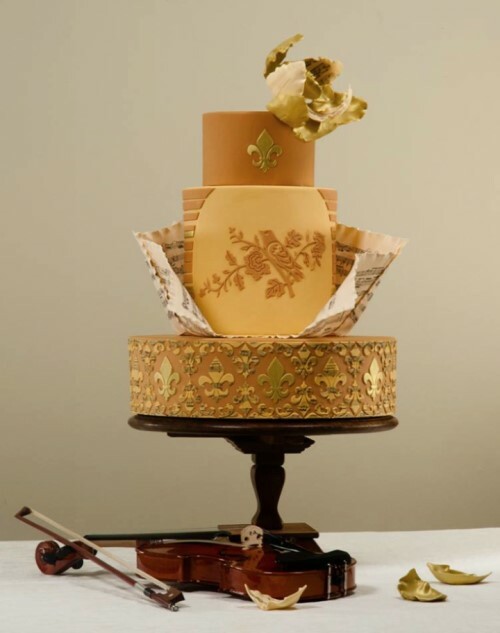 If you thought your wedding cake was huge, then take a look at the cakes on this site. They will blow your mind! Even if you don’t plan on ordering one of these monsters, you must check out some of the massive cakes that other brides have ordered. 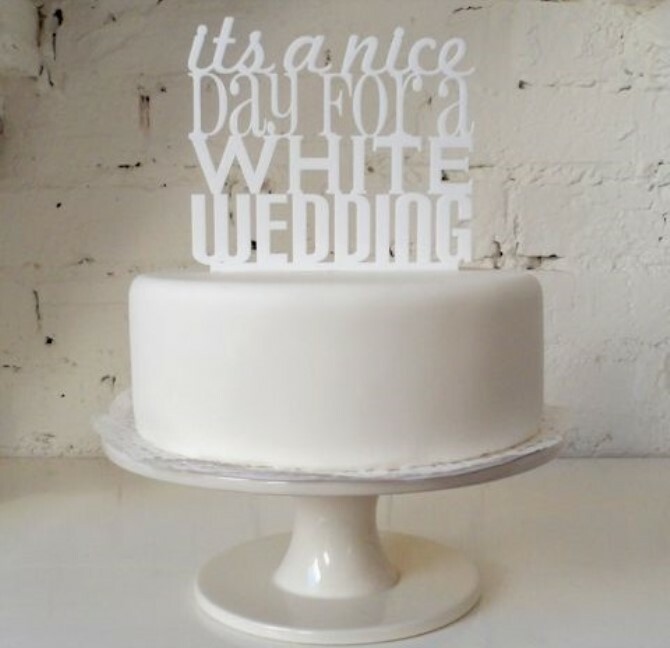 If you’re looking for a White-on-White wedding cake, then there are some truly beautiful cakes on this site. Certainly worth checking out if you’re in the market for a unique but elegant wedding cake. So sweet and so beautiful! 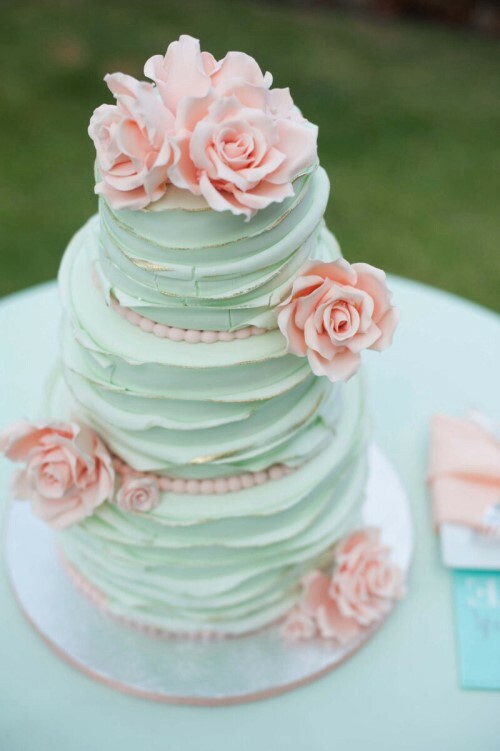 Mint wedding themes are trending at the moment, particularly for spring weddings. You can’t deny that this gorgeous colour is soft and beautiful. If you’re looking for a theme for your spring wedding, then you may be interested in a mint wedding theme: and of course the perfect colours to go with mint are gold, pink and blush. 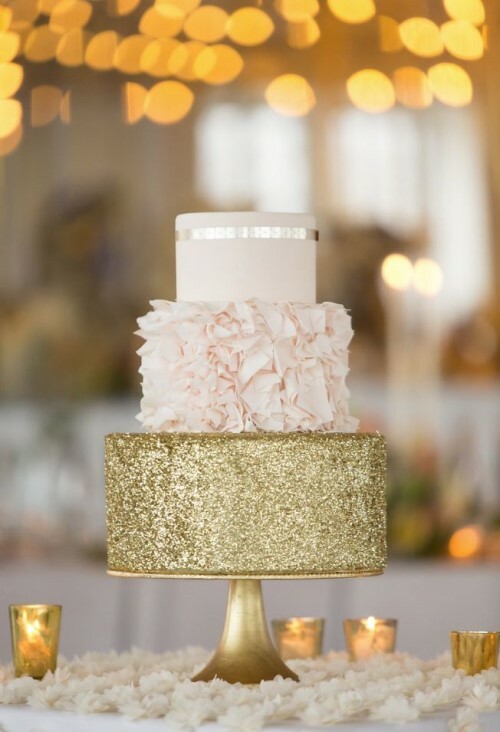 What girl doesn’t love her bling, and this cake is so elegant that any bride is sure to fall in love with it. 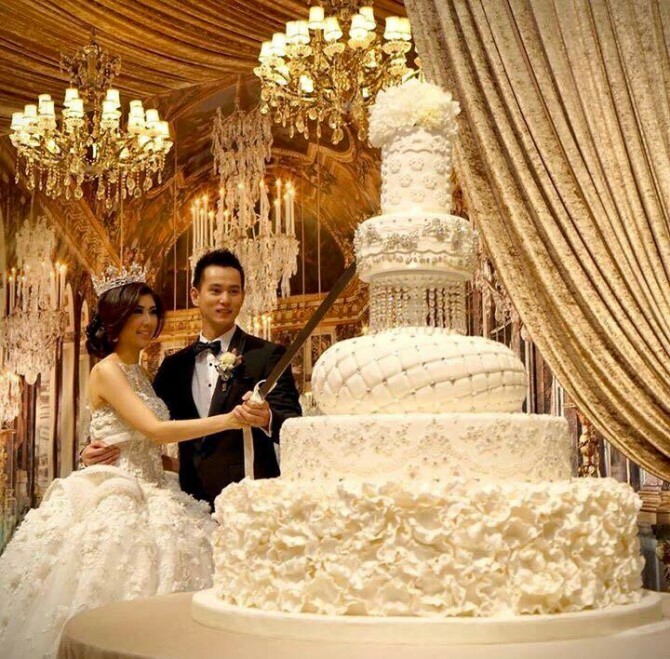 Again, it’s a unique wedding cake and probably one you’ve never seen before, but it’s incredibly elegant. 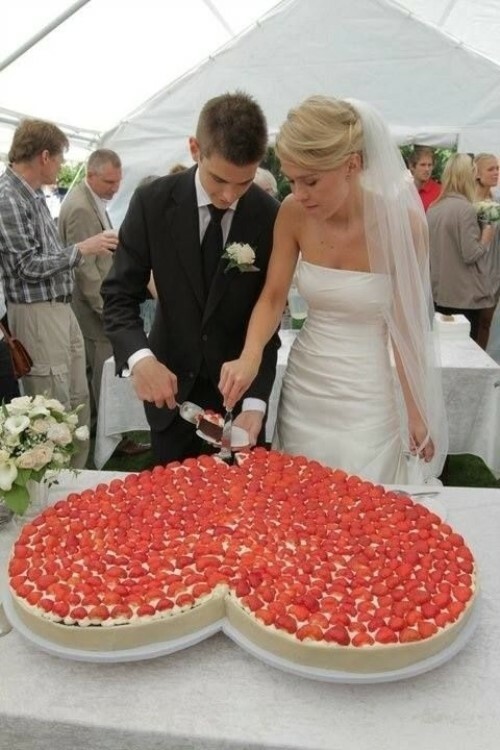 This wedding cake will attract a lot of attention! This Superhero wedding cake is half comic book and half classic, and it’s a wonderful tribute to the bride or groom’s love of comic books. 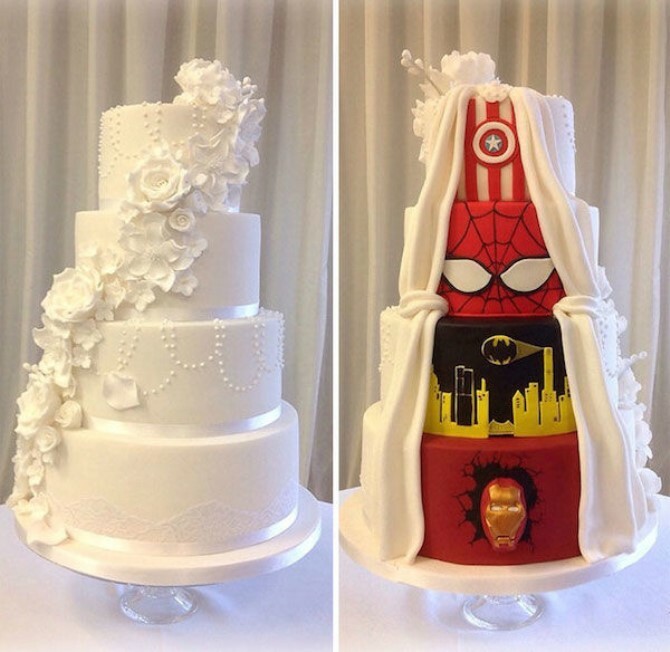 The cake is actually two sided and combines both comic book characters and elegance – the front-facing side is pure white with elegant accents while the back-facing side has four different superhero faces. It’s unique, it’s creative, and it introduces a sense of fun and personality into your wedding. This wedding cake is unique and provides plenty of detail to look at. A lot of love, time and effort has gone into creating this masterpiece. This is possibly one of the most beautiful cakes we’ve seen. This cake says love, love, love! The colours are soft and romantic, just how many brides feels on their wedding day. It’s perfect! Artistic, unique, and definitely a centrepiece to attract a lot of attention. The cakes displayed on this site are simply stunning. The company designing these works of art say that their one principal when creating a cake is that it must be as special and memorable as the event for which it’s created. Mission accomplished! This site is not just about wedding cakes: it’s a site that has many unique and romantic ideas to jazz up your wedding day. If you’re in the process of planning a wedding, then you must take a look at this site – there are some really great ideas here! 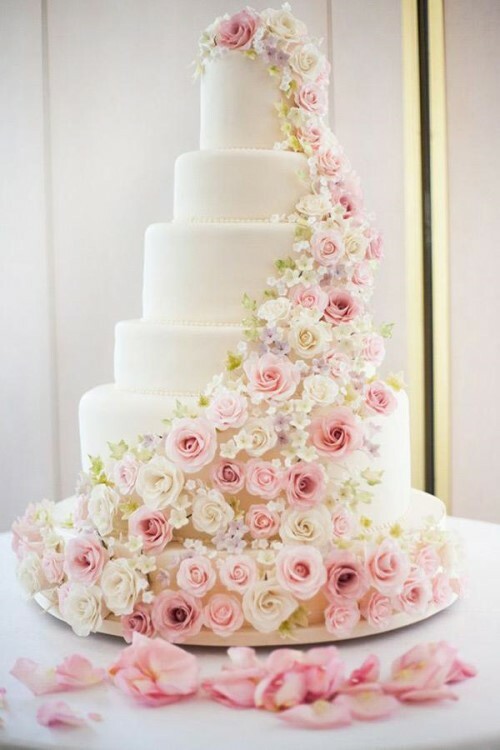 But, speaking of cakes, isn’t this just gorgeous! And once the wedding is over and the last delicious crumb of your wedding cake is gone, don’t forget to send us some photos of your wedding cake: we’ll help you keep the memory alive by creating a beautiful wedding canvas collage to hang on your wall. Cake number 4 would be inspired by Billie Idol not David Bowie as white wedding is his song.